Those people who make beautiful pies I envy you. With even crusts and golden color, seriously I’m not bitter but pie making is an art. But making a galette is easy! This leaves the door wide open as to how your finished galette will look. Slightly off on one side, rustic. A little cracked around the edges, rustic. See where I’m going with this? I wonder how far we could go if we used that word for everyday stuff. 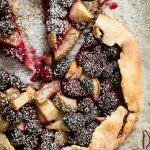 Roll out that buttery pastry without a care in the world, and fill it with blackberries that always seem to be getting bigger. Giant blackberries are a thing now. Add some pears and a sprinkle of fresh rosemary and you’ll realize why it’s perfectly okay to add herbs to a dessert. Bake until golden and the first signs of bubbling fruit appear. Sometimes it leaks but remember, it’s rustic and leaking is okay. Serve your masterpiece warm with vanilla ice cream, or even whipped cream with vanilla. Just make sure that cream and vanilla spend some time together, they like that. You’ll end up with something that looks like this, and might end up eating half of it yourself (cough). 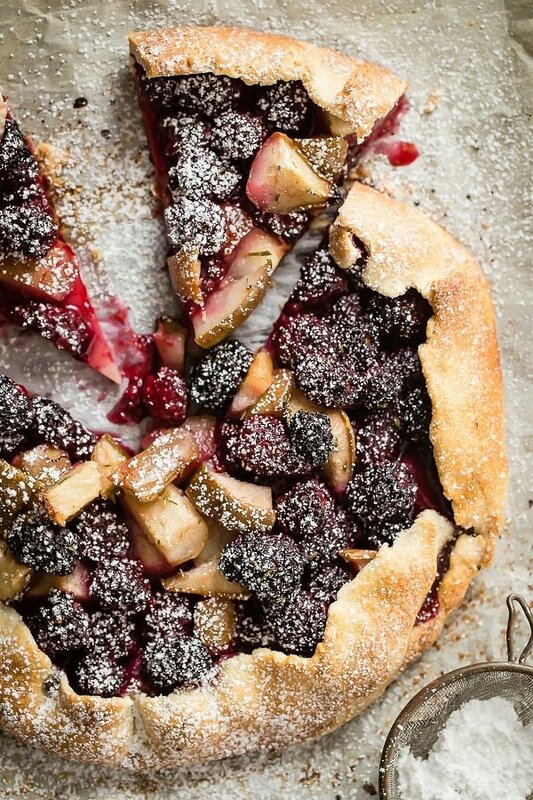 A buttery flaky pastry crust filled with juicy blackberries, pears and fresh rosemary. Place the flour, salt and 1 tablespoons sugar into a bowl. 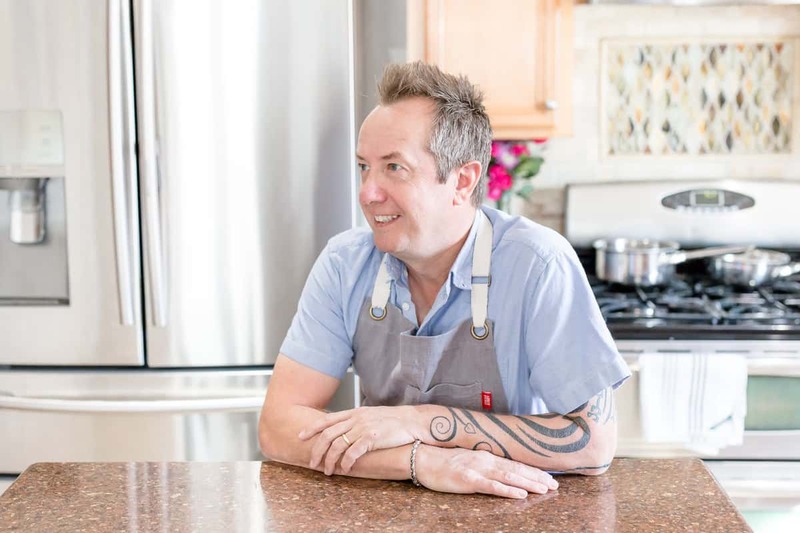 Break the butter up in the flour with your fingers or a pastry cutter until it's like the size of small peas. Add the iced water and gently mix until it all comes together. Place the dough in a zip lock bag and keep in the fridge for at least 30 minutes to relax. Add the blackberries, diced pear, 2 tablespoons sugar and rosemary to the bowl. Toss well coating the blackberries with the sugar and rosemary. Roll the dough out into a circle about 10 inches wide in diameter. Transfer the pastry carefully to a large baking tray with a piece of parchment paper. 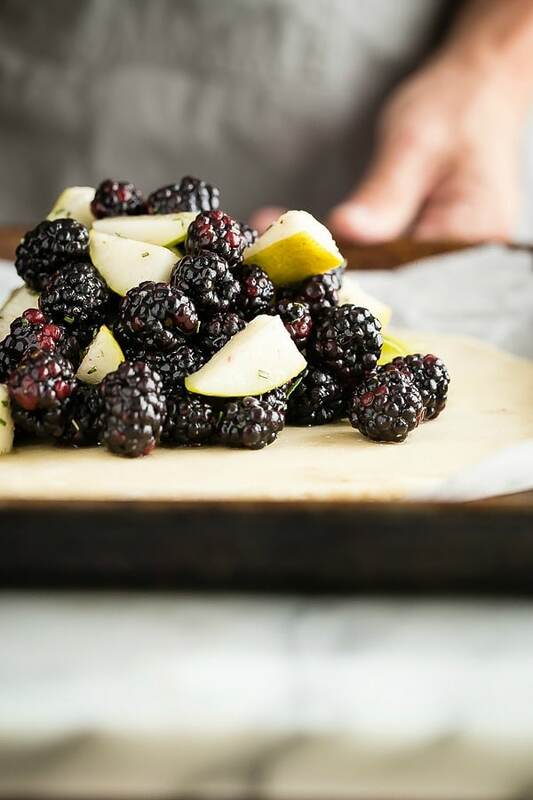 Place the blackberry mixture in a pile in the center of the pastry leaving a 2-inch border. Fold the border in towards the blackberries creating a break wall to stop the filling escaping. Using a pastry brush, glaze the pastry with some of the milk and sprinkle with the remaining tablespoon of sugar. Bake in the oven for 20 minutes and then reduce the heat to 375 degrees F.
Bake for a further 40-45 minutes or until the galette crust is golden and the fruit is slightly bubbling. That looks so tasty, I just want to get stuck right in! I love rustic! I couldn’t agree with you more about pie baking. I’m pie crust challenged so galettes are perfect for me. This one is beautiful! Thanks Joanie, glad I’m not the only one! That galette looks so mouthwatering!! It was for sure Amanda!! Your photography is beautiful! The pie looks utterly delish! Such gorgeous photos and styling! And the recipe looks amazing. YUM! 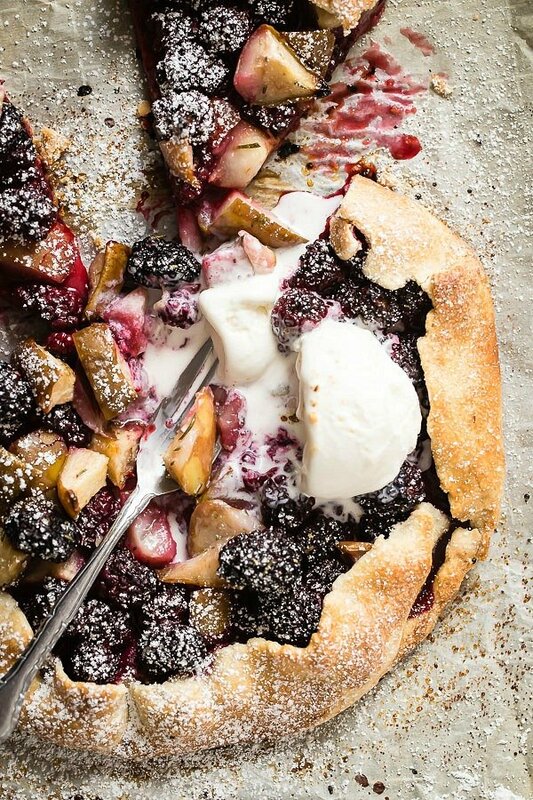 Beyond gorgeous, I want to dig into this galette immediately and I don’t plan on sharing ;). Does the butter have to be cold or at room temp for the crust? Hi! I’m planning to make this tomorrow… can I make the crust ahead of time and keep it in the fridge?